Posted on 28th January 2011 by yasmin. Taking the wide, white spaces of a loft apartment and turning it into a home can be a tricky task. The key here is to take sculptural furniture, soft lighting and lots of textures and fabrics in order to transform an open white space into a welcoming home. Despite cement flooring and expanses of white washed walls, your loft space doesn’t have to feel bare or stark. Instead opt for well-placed furniture and judicious lighting in order to create separate living spaces. The good thing about apartments is that they are usually very light, open spaces; this is an important feature to keep in your apartment as light and space are both welcoming features. 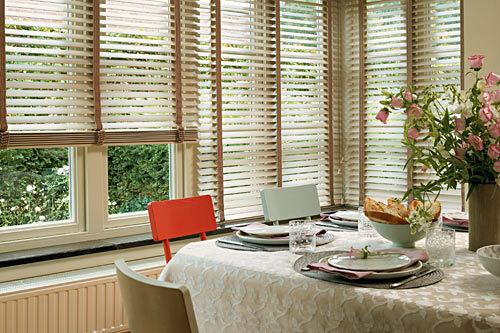 Why not create warmth with both wooden flooring and coordinating wood blinds. 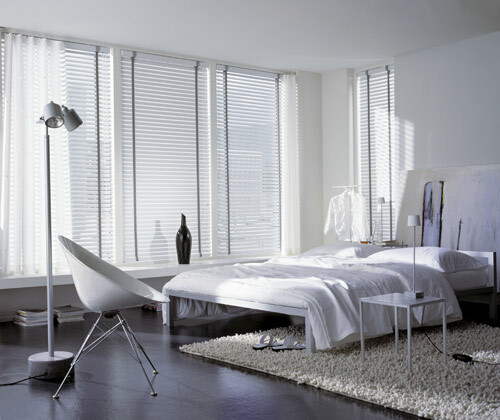 By matching your flooring you your window blinds you will create the illusion of warmth and comfort. Alternatively if you like an ultra urban, contemporary feel you could team your white walls and cement flooring with blinds that will allow natural light through like Viveza Platinum roller blinds or our Satin finish Seda Ice electric blinds. Both blinds will ensure that your room remains bright and white; however, the textures on the blinds will add a touch of warmth. When it comes to furniture, symmetrically positioned sofas and coffee tables will add a sociable feel to the space whilst a faux fur rug in the centre of your sociable space will ensure that the area feels warm and welcoming to guests. For the accessories, block colours always work well with vast white spaces. Go for bright, framed paintings or large canvas photos. A white space really gives you a blank canvass to work with meaning that you really can make certain features stand out. Posted on 26th January 2011 by yasmin. The high street is jam-packed with colour, pattern, textures and funky accessories. I like to think that much of this is inspired by the most colourful show in the world; the circus. It’s full of energy, razzle-dazzle, colour and jazz, all of which can be incorporated into your home (without the clowns and that elephant of course). So roll up, roll up and I will explain how this fun, fresh and colourful inspiration can be incorporated into your home. Using lots of colours and patterns in a room can be daunting, however, with this trend; plenty of both are needed. So go on get brave and just go for it. The overall look needs to burst with energy and be electric. If you’re a bit weary of what you’re about to do then start by creating a mood board. Put together all possible choices on paper first in order to see how vibrant all of your chosen swatches are collectively. 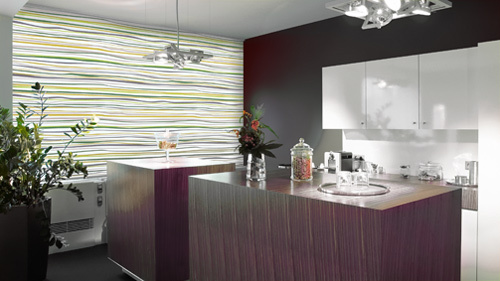 Look out for vibrant striking colour combinations, spots and stripes can also be effective here too. Whether you incorporate these patterns and colours onto your walls with bright wallpapers, onto your sofa’s with brightly coloured cushions or throws or onto your windows via funky textured and patterned roller blinds. 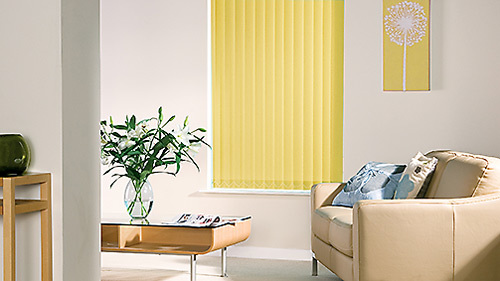 Why not try our Rubor Candy or Fresco Spring roller blinds? However you choose to bring the circus to your home, the options really are endless. Alternatively, of you don’t want the circus theme to take over your room, then why not add touches of the circus with your accessories. A bright vase, colourful upholstery or structured vibrant furniture can work well here and really add a touch of fun to your living space. So go on, why not go all out and adopt the circus into your living space? Posted on 20th January 2011 by Lee. Well you will be with these dreamy yet elegant ideas for turning your bedroom into a relaxing haven of bliss! And to set the scene - Imagine this; you’re tired after a long, hard day at work, you know your husband is working late at the office, so what do you do? What every woman longs to do when her man is out of the way; relax! After arriving home from work, you pour yourself a large glass of crisp white wine, run yourself a large, lush bath and begin the relaxation process. After you have prepped, primed, moisturised and conditioned, it is time for ultimate relaxation! Bed bliss - Having many textures and fabrics surrounding you in bed adds to the cosiness that you want to experience when you get into bed. Surround yourself with as many pillows and cushions as possible with a mix of fabrics such as silks and velvets, fabrics that are soft to the touch. A faux fur throw over the end of your bed will also ensure that your toes stay warm and cosy. Scented heaven - Go on, light a few scented candles and let yourself be taken aback by the fresh scents that come from them. The perfect lighting - Soft lighting is key to relaxation. Firstly, block out the outside streetlights with either our wood blinds, venetian blinds or blackout roller blinds, all of which will ensure you don’t see a peep of the outside world once you have closed them. Now for the lighting, soft lighting is best to set that relaxation mood so ensure that you have a bedside table lamp. All you need to finish off this haven of tranquility and relaxation is a good book, a hot cup of coco and a tired head. Good night, sleep tight, enjoy! Posted on 18th January 2011 by yasmin. Update your country home with a palette of soft pastel colours; warm, inviting fabrics and luscious textures! The new country look can work brilliantly in any home, whether it's a modern apartment or a traditional country cottage that you call home. The style aims to look effortlessly comfy as well as classically relaxed. Light, pastel colours work extremely well here as do textured soft furnishing fabrics in gentle hues. Here I will explain how to achieve this look. The colour scheme - A neutral background highlighted with soft pastel colours such as cool blues, light teals and creams looks best to set the scene here. Add a touch of drama with cherry reds and darker teals on accessories such as cushions, rugs or throws. To compliment the scheme even further wood blinds are available in a variety of wooden stain finishes such as Milton wood or classic country style painted shades like the Controliss English Oak wooden blind collection. New country interior - You can take your pick of new country styles here which in turn means you have free reign on what fabrics and textures you want your room to adopt. Whether you are after an elegant new country home, a girlie floral new country home or a brightly patterned new country home, the fabrics and textures available will allow you to achieve your desired country effect in no time. If you have gone for a palette such as above, then why not add floral, tartan or faux fur to your upholstery, this will create an old country meets new country style. Lighting is key - Get the light right in your new country room; to go with the feel and style your room also needs to appear warm, friendly and inviting. The key is to use different types of lighting to highlight specific areas of your room creating an ambience that invites a relaxed and welcoming atmosphere. Posted on 16th January 2011 by yasmin. Why not prepare your home for spring, after all if supermarkets (sorry the Easter bunny) can get their Easter eggs ready on the shelves then what’s stopping the rest of us from getting ready for those lush spring days. Why not add a twist of citrus and a splash of green to a palette of fresh whites and woods to create an airy, spring-like scheme that will take your senses straight to spring itself! Spring equals fresh, clean new starts; baby lambs are born, flowers bloom etc etc. So why not take this view into your home? White washed walls work here, by using white you will be creating the perfect ‘fresh’ backdrop for any spring theme. If you have a large room then perhaps you could paint one of your walls in a citrus shade, adding to the spring theme. Wooden flooring is also in-keeping with the theme of spring as it adds the feeling of being out in the open with the trees, as does using wood blinds . Keep to light shades, however, like our Arctic Ice white wood blinds so you don't overshadow the freshness of your room with dark colours. Once you have your fresh, white space it is now time to brighten it up with twists of citrus and splashes of greens. Why not add citrus and green cushions and throws over your sofa to instantly brighten up your room, or why not dress your window with our Liso Zest, lime green roller blind it will instantly lift your room and make you feel as though you are in a fresh field in the middle of spring! Alternatively if Lime on its own isn’t for you then why not go for our Fresco Spring roller blind. This roller blind design really is the epitome of spring fresh. The blind encompasses citrus shades, limes, whites and other shades all in one! Posted on 15th January 2011 by yasmin. A revival for this classic hue has already begun with many using this colour throughout their homes to add neutral sophistication and class. With a combination of beige shades, textures and patterns this versatile and popular hue doesn't have to be bland! The beautiful thing about beige is that the more shades you mix together the better the look. Beige really does provide elegant sophistication to a space and the looks that can be created are endless. You can mix a beige palette with whites and creams to create a light look; alternatively, you can add dark shades to the palette in order to add a more dramatic effect. You can create a light space with beiges as they appear more interesting than whites and creams alone. Why not paint your walls a light shade of beige, add to this a cream carpet and surround it with a palette of browns and further beiges. Choose light beige blinds such as our beautifully textured Viveza Riviera roller blinds to create even more light from the sun in the daytime. Alternatively, if you want to create drama you could mix strong browns and blacks into your palette. Why not add a dramatic dark wood blind to your look, our Sorcerer or Tudor Beam wood blinds would be perfect here. Or why not add a dark leather sofa to your home, adding both sophistication as well as classic drama. If dark colours aren’t for you then why not incorporate textures into your interiors. By doing this you will ensure that certain aspects of your room stand out. For example; add textured cushions and a collection of sheer faux fur throws to your sofa to add a touch of warmth to your home. Or why not add a statement rug to the centre of your space. 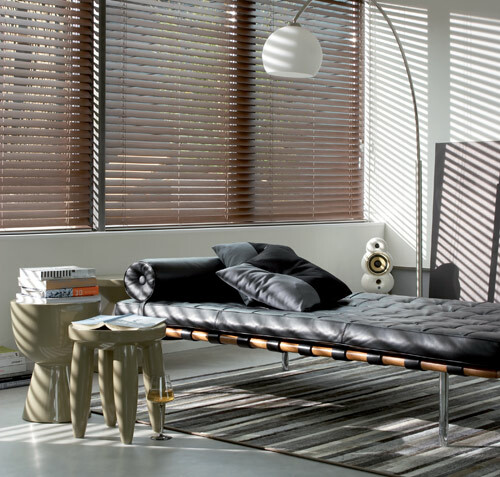 Fabrics such as tweed and leather also work well against a beige palette and Controliss venetian blinds will add a touch of hi-tech sophistication to any window. Believe me, when it comes to using beige, the possibilities really are endless. Whether its drama, sophistication or class you desire, a palette of beige can create the style that you are looking for! Posted on 14th January 2011 by yasmin. Getting the keys to a new home is one of the most exciting experiences for us all, however stepping through the the door for the first time often brings home the realisation that actually your new house will need a great deal of TLC to turn it into your ideal home. Sob, the tears start rolling down your face and the bank manager needs to be phoned! But there is not necessarily any need to panic, a new home should be seen as a new venture, it is exciting, fresh and new, after all you want something that you can put you own mark on and add your own character to. Let’s face facts, unless you are not constrained by small details like a budget then achieving your ultimate abode is not something that will happen overnight, no instead (as my in-laws keep telling me) it takes more than a few years to get your house to look like a home. Although this may be the case (sadly), there are a some great cost effective steps you can take to make your new house seem more like a home sooner rather than later! Firstly, a lick of paint can do wonders for any room. A fresh, new colour palette really can make a drab room appear fresh and new! Secondly, remove those moth-bitten curtains from the window and instead replace them with our inexpensively priced and super fabulous roller blinds, vertical blinds, venetian blinds or wood blinds. Dressing your window really will make a difference as it is common knowledge that people look towards a window when they enter a room. Third and finally is that old furniture and home accessories that your grandma kindly gave you (disgusting but appreciated). All you have to do here is adopt a little imagination. Sand down and add a lick of paint to that old, dark wood sideboard, spray that distressed mirror frame black and dye those pink sheets red. Imagination really can turn something drab into something fab in no time. So, wipe away those tears, get excited about your new venture and let the process begin! Posted on 12th January 2011 by yasmin. Hallways and entrance halls can often end up as wasted, messy spaces which do nothing and say nothing about the character of the owners or the home in question. The starting line for turning your hall way from a wasted, drab space to a fabulous grand entrance is of course the colour palette. Making the right choices when it comes to the colour palette of your hallway will characterise your hallway or entrance space and in turn make that drab space fab! If your hall way is narrow and dark then there are two separate techniques you can adopt here. You can either go for the trade of thought of; 'the brighter the better' and aim to make the space appear fresh, bright and light or you can go for dark colours of which will elongate your hallway. If you want to brighten up your space then go for fresh, light colours such as whites and creams. Add to this look a large mirror and a lightly coloured blind of which will let the sun shine through it in the morning such as our Viveza Pearl roller blind. Alternatively if you want to add a splash of colour then why not go for one of our lighter shades of Vertical Blinds that will allow you to achieve the perfect balance of light and privacy. If on the other hand, you have a narrow space then why not go for dramatic section of wall in a dark red or purple with contrasting bright white larger sections. Using these two contrasting shades together can elongate your hallway giving the appearance of a passionate and welcoming space. 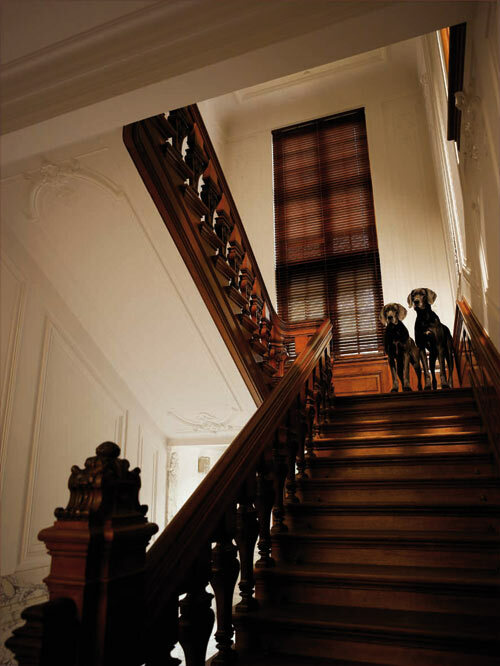 If you accessorise these dark colours correctly then these shades will work brilliantly in elongating as well as adding drama to your hall way, Controliss Liso Jet Black roller blinds or Liso Red Devil are perfect accomplices for a striking window finish here. Mirrors are also the key and will go hand in hand with the darker coloured walls as they make a space appear wider. If you don’t want to commit to a bold paint job and palette in your hallway, however, then why not opt for coloured lighting instead? This will dramatically enhance architectural features as well as allowing you to be experimental and change the colour of your hallway regularly with different coloured lampshades and bulbs. Creating a desirable entrance hall using carefully selected paint hues and window blind shades can really turn one of the most neglected ares of the home into a grand hallway ! Posted on 10th January 2011 by yasmin. Think the sun, lemons and electric light, the list is endless...... Yellow is a brightly stunning yet understated and underused colour that really can add fun and brightness as well as sheer genius to your decor depending on what you decide to combine your yellow shades with. The key to using yellow in your home is to not over kill it, carefully choose your shade of yellow and combine it carefully, allow the colour enough space to stand alone but support it with other shades and colours that can hold their own. In this instance, most prominently, warm browns and fresh whites are what I am going to base my palette on. Yellow can be used in a very modern manner, picture this; white walls with one block wall of strong, bright yellow; shades of browns with wooden furniture and an electric wood blind , and perhaps a hint of acid green for a jolt of something unexpected and exciting. If the thought of having white walls is too cold for your liking, then why not go for a light shade of brown on your walls, accompanied by a Daffodil yellow or lemon grass vertical blind as a statement piece? If you’re not keen on yellow being on your walls or windows, however, then why not add slight glimpses of yellow to your home via your accessories. Yellow cushions and throws can add zest and brightness to your living room or bedroom. Alternatively you could use yellow accessories such as vases and picture frames, which will add electric touches to your home. The possibilities really are endless, so don’t hide behind demure colours, add some electricity to your home, whether it be a little or a lot, your home will be instantly brightened!